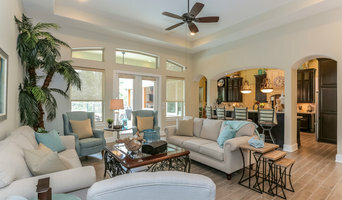 At Right Next Door Designs, we provide interior decorating, real estate staging, and home decor services, helping locals fall in love with their homes through beautiful decor & design. At Luisa Design Studio we understand the importance of creating beautiful and unique spaces that will align with your needs and dreams. We focus on giving your space new meaning. I have been a Designer for over 30 years. I specialize in furniture selection, custom draperies, Hunter Douglas shades, blinds, and shutters, lighting, area rugs, accessorizing, custom floral arrangements, and Christmas decorating for home or office. Also, stage homes for Realtors and Home Owners to freshen their rooms! My new store is on Hwy 105 West in Conroe, one half mile past the Janjacento River Bridge going west. We carry a large selection of gorgeous upholstery and drapery fabrics. We recently expanded the store to include a large selection of art in all price ranges, gorgeous accessories, big beautiful lamps, reasonable area rugs and custom floral arrangements! The store is open to the public from 10:00 a.m. to 5:00 p.m. Monday through Saturday or by appointment. Come check us out! Full Service Custom Interior Design is the core focus of The Design Firm. With just over 30 years experience and a dedication to team work, we are committed to capturing your signature style. Hames Custom Builders seeks to provide you with a beautifully built home perfectly created to fit your family's lifestyle. Nathan Hames has been a builder since 1997 and works hard to maintain long standing relationships with his clients. Our goal is to have our clients excited about their new home as well as the building process. We think you'll enjoy Nathan's responsiveness, diligence, and commitment to customer service. Each Hames Custom Builders home is meticulously constructed by carefully selected craftsmen using high quality materials. We offer the latest technologies available for energy and resource conservation. We take pride in knowing that your home is an investment that is built with quality to last for a lifetime. We look forward to working with you! All-Pro Technologies is an audio visual, information technology, security, and data cable company formed over 10 years ago, serving individuals and businesses in the Greater Houston area. J & K Electronics has a rock-solid reputation in the Houston area for manufacturer certified repair and installation. We can automate and connect any system we install - creating your new smart home! Wendt Design Group is a full service design firm which serves a wide range of clients working on diverse projects such as a large estates, residential high-rises, smaller homes, corporate offices, restaurants, multi-family buildings & hotels. The firm has worked both locally and internationally to on large and small projects. 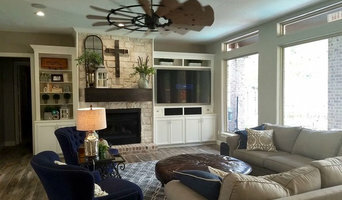 Wendt Design Group has vast experience in all styles of interior design. Our current emphasis on design looks is more transitional, contemporary, or classic modern. 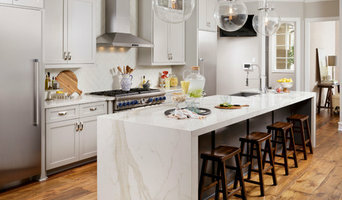 Our firm’s professional team of designers will work with you to create an environment that is not only unique to your personal style and sensibilities but is also functional and encompasses your individual lifestyle needs and budget. We work with homeowners in Greater Houston who want to create a home environment that supports, enhances and enriches their lives. They know that creating a dream home opens up all sorts of exciting possibilities and transforms everything they do. Most of our clients have high standards of quality and service. They want to work with someone who is a true professional. They want to get an environment they’ll be excited and proud to call home. Interior design has been part of my life ever since I can remember. My family moved a lot when I was growing up so, from an early age, I discovered the challenge of starting over to make a house a home. I learned that each house is like a personality and you have to relate to the house, not just fill the rooms with furniture. Harken specializes in atypical AV installation and home automation. We can fabricate with wood, metal, masonry, and concrete to blend technology into your style and lifestyle. Having a high tech entertainment system no longer requires a large equipment footprint. We can adapt and integrate at any stage of your home. For new builds, we offer conduit prewire which allows your home to adapt to whatever technology may be offered in the future. We can also retrofit homes without any pre-existing technology infrastructure. History Established in 2002. Derrick, owner and supervisor, had worked in construction and audio-video installs. He began his own business to offer more comprehensive and custom services. With strong fabricating abilities, Derrick and his team enjoy the challenge of building entertainment systems specific to each home. Whether it is a poolside grotto, discretely equipped garden gazebo, or family room wall-sized, surround sound home theater system, Harken can create AV systems that fit your life. We strongly believe in utilizing distributed Audio as well as distributed Video systems. For any mid to large size home we tend to see more video displays than people living in the house. Distributed Video uses fewer sources (cable/satellite/uverse boxes, BluRay Players, FireTV, AppleTV, etc) allowing them to be sent to any television or combination of televisions in the home. This reduces your monthly service bills quite a bit depending on the scale of the project. Montly savings from the cost of box rentals and additional service fees average $75-$100+ a month. This translates into $1,000-$2,000+ annually. Over the course of 3-5 years these "enhanced" systems generally end up paying for themselves in cost savings, With an minimal average shelf life of 7-10 years before system replacement a good majority of our distributed systems clients end up "earning money" simply by utilizing modern technology. Contact us to find out how you could save on monthly expenditures while increasing your flexibility and enjoyment. 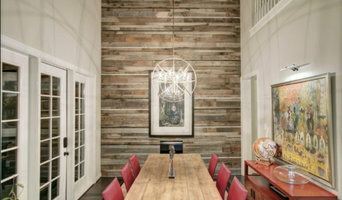 Recognized for our style and versatility, the team at Crimson Remodeling and Interiors has extensive experience with high end residential interior design, renovation and construction across Houston. Ranging from re-designs of existing dwellings to new home construction, we deliver interiors that reflect the client's individual taste and style. From initial concept through to project development and installation, we partner our clients to create truly unique and stunning environments. Our growing team means that every client gets our full attention, on every project. At (Layered) Interiors, we pride ourselves in surpassing the focus of design by curating luxurious and innovative environments that directly correlate to our clients' needs. Our projects in Commercial and Residential Design depict the work of two fashionable dames whom rely on their personal knowledge, advanced experience, savvy taste, and exceptional customer service. 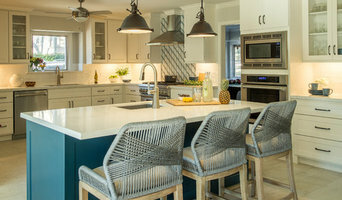 Mauricio Nava Design is a high-end, full service and award wining design firm voted "Best of Houzz 2013, 2014, 2015, 2016, 2017, 2018 and 2019". We specialize in modern, chic, transitional and contemporary design for both residential and commercial spaces.